This might be blasphemous, but I decided not to drop $9.99 on issue 1,000 of Detective Comics. Reaching this milestone is an amazing accomplishment and it is hard to fathom that people have been enjoying this title for 80 years! DC did an amazing job rounding up a group of talented creators to contribute to this landmark issue, but it wasn't in the budget this week. I did, however, pick up the new Sabrina the teenage witch comic! Star Wars: Vader: Dark Visions #2 - This was one of the most surprising and entertaining Star Wars stories I have read. It felt like an animated short that would have fit in well at the Spike and Mike's Animation Festival. Brian Level absolutely killed it on the art in this issue and watching Tylux stressing over dealing with Vader and his desperation to capture a Rebel Spy had me rolling on the floor. The issue is all about the aftermath of dealing with Vader. 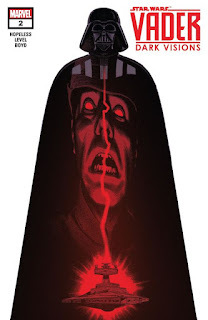 We are treated to a story about a General who failed to capture a spy, and upon learning that Vader is en route to pick up the spy goes to extreme lengths to try and deliver said spy. I cannot recommend this issue enough and want to applaud Marvel for allowing the creators to take such creative risks in telling a story about Darth Vader. 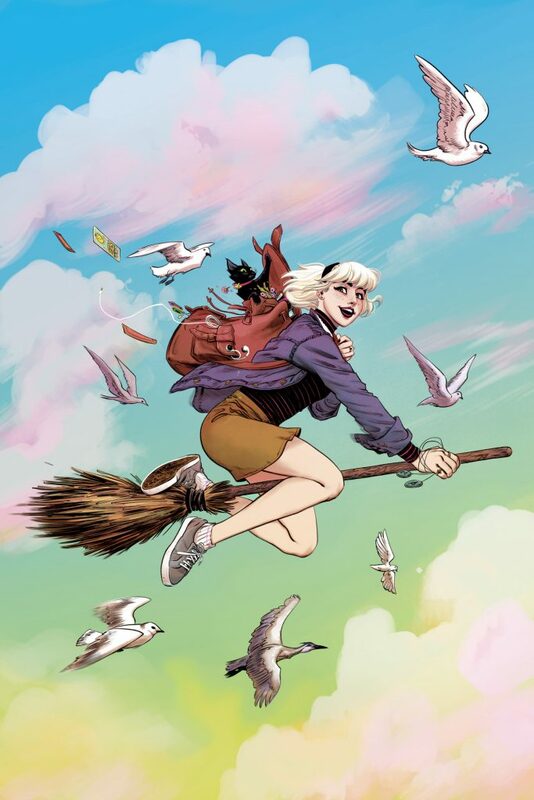 Sabrina The Teenage Witch #1 - This week I was treated to this delightful title penned by Kelly Thompson. If you need a refresher, Sabrina Spellman is a witch who lives with her aunts and Salem, a warlock trapped in the body of a mischievous black cat. Thompson lays out some fairly routine issues that teenagers deal with when they move to a new town and start attending a new school. Sabrina navigates this awkward stage and isn't too shy about using her magic to steer things a bit in her direction. This issue does a nice job introducing us to Sabrina's world and to some of the characters I am sure we will get to know a bit more. It currently reads as a great all-ages title, but with teenagers and high school romance who knows what the future holds. Doctor Aphra #30 - Aphra and Triple-Zero have less than three hours to reach their destination if they hope to defuse the proximity bombs that are keeping them close together. 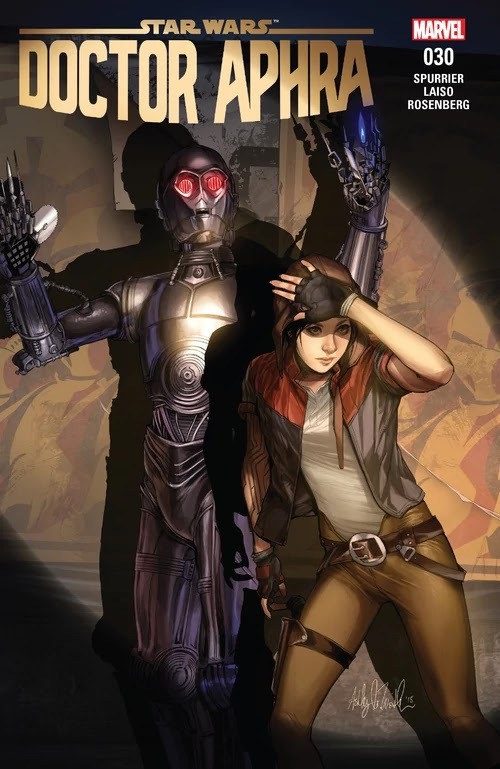 After dealing effectively with an Alliance ambush that sought to use Aphra for propaganda, it appears that Aphra and Triple-Zero are close to becoming friends again. After torturing the Alliance group that captured them, Triple-Zero reveals that Aphra's former romantic partner, Tolvan, is alive and working for the Rebellion. In a moment of kindness, Aphra returns the memories to Triple-Zero that he has been searching for and it appears to have back-fired. This issue does a nice job furthering the Running Man narrative and planting some seeds for the next arc in which I hope Aphra and Tolvan are reunited. Daredevil #3 - Chip Zdarsky delivered one of the most surprising Daredevil issues of recent memory. 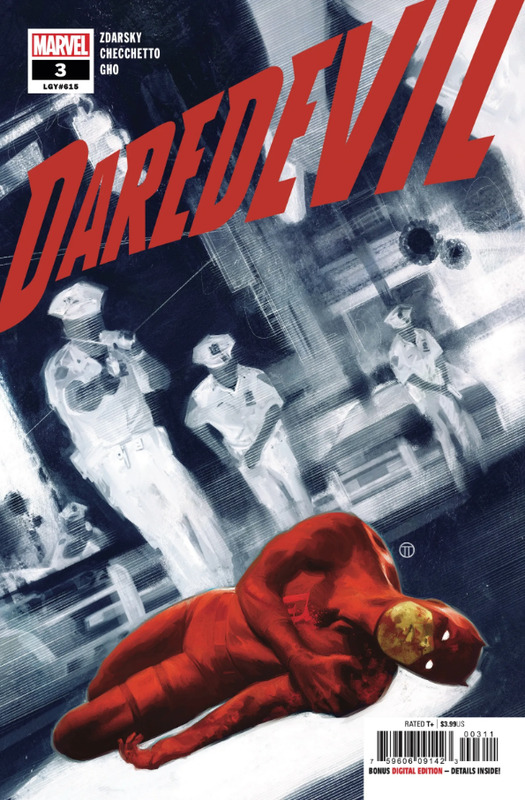 This issue picks up after Daredevil had been shot by a detective after he was found at a crime scene for a murder that he is being framed for. The detective is not one to mess with, and Daredevil finds himself being pursued by someone who has a slight upper hand. The last issue felt a bit cliche, with the hero being framed for a crime he didn't commit, but the payoff that Zdarsky delivered and the surprise guest at the end of this issue was well worth the wait. I am 100% on board with the new creative team and am going to have a hard time waiting for the next issue.